Men's watch Solid brass case with chrome Finishing. 24 hour face design. Japanese quartz movement with Calendar. Water resistant. Adjustable metal bracelet. 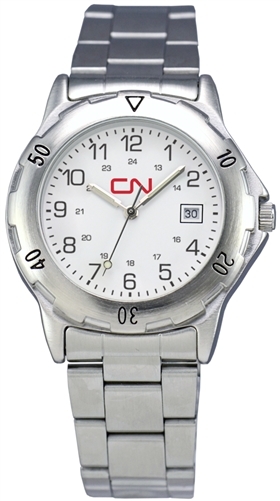 Printed CN logo. Gift Boxed.